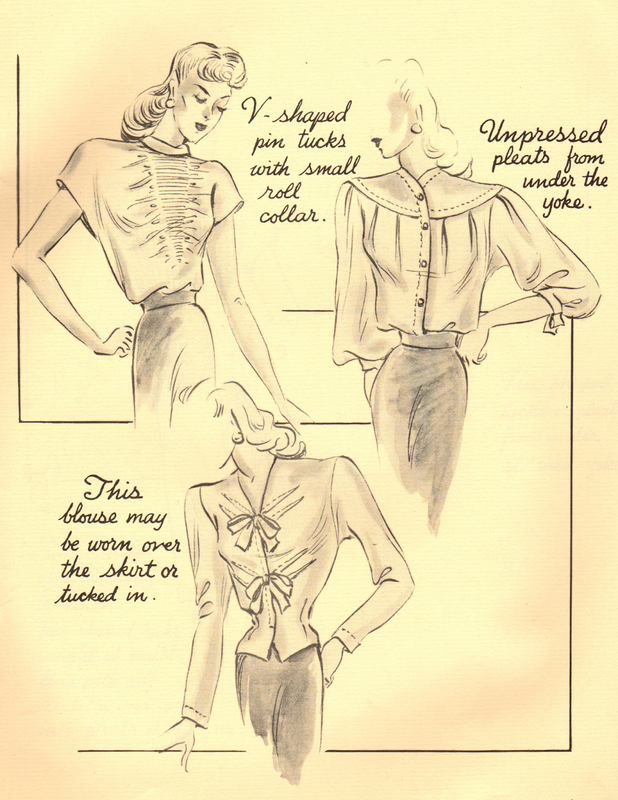 Here is another page of inspiring fashion from the 1940s, this time details for blouses! And I have to admit that 1940s (and 1950s) produced some of the best blouse designs ever. This collection demonstrates artful use of pin tucks, soft inverted pleats, and eye-catching use of reverse darts accented with fixed bows. Superb!